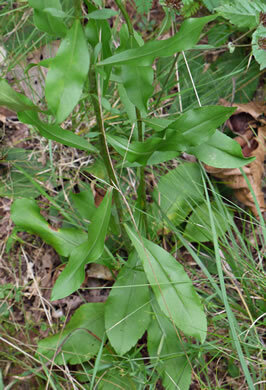 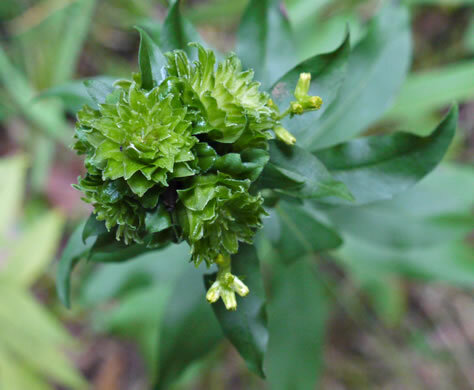 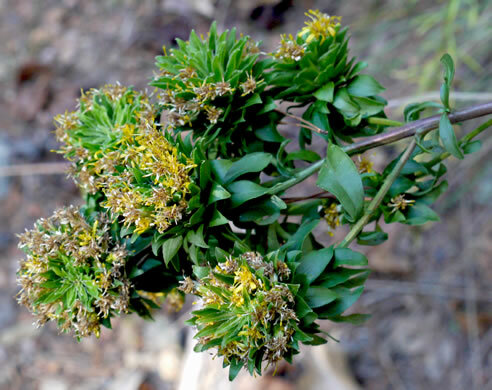 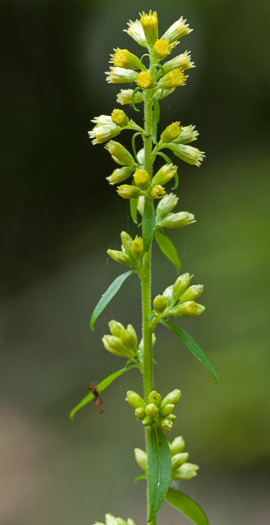 A smooth plant with a narrow, often interrupted, terminal inflorescence, per Wildflowers of the Southern Mountains. 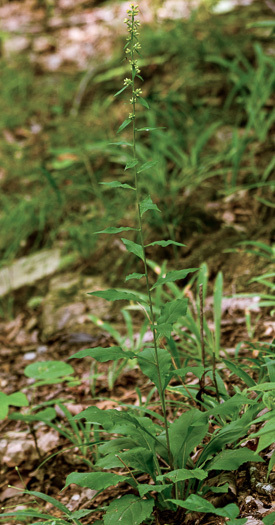 Basal & proximal cauline lvs tapering to long winged petioles (quickly reduced, per Flora of North America. 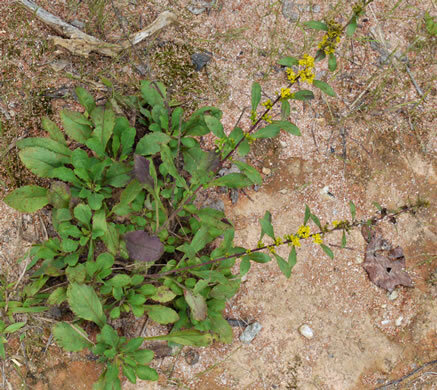 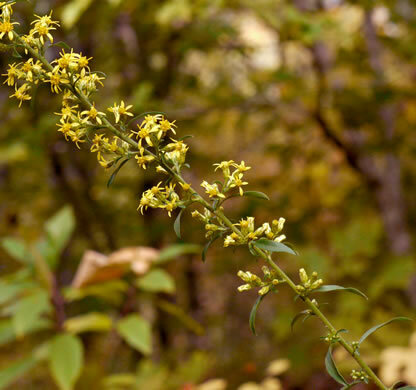 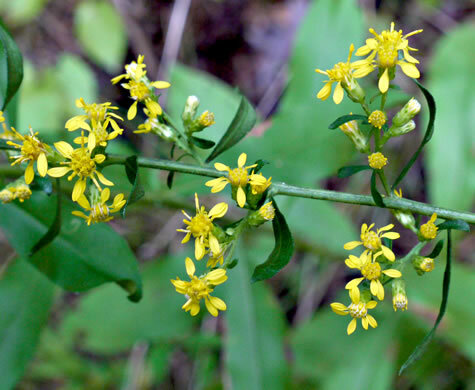 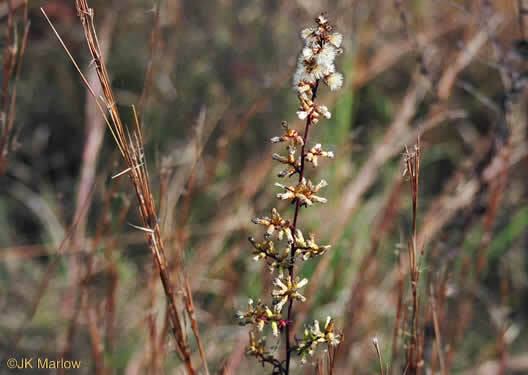 Stems are glabrous from the base to near or into the inflorescence, per Asterae Lab: Classification and illustrations of goldenrods (J.C. Semple). 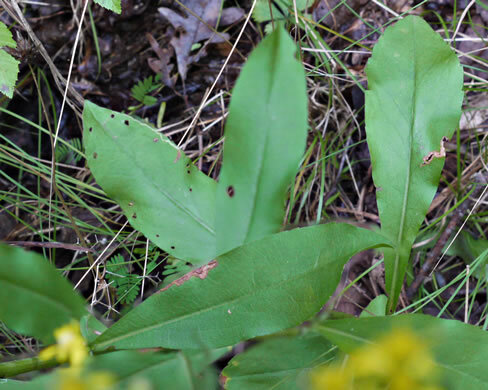 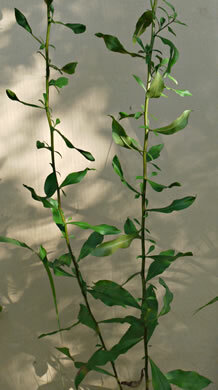 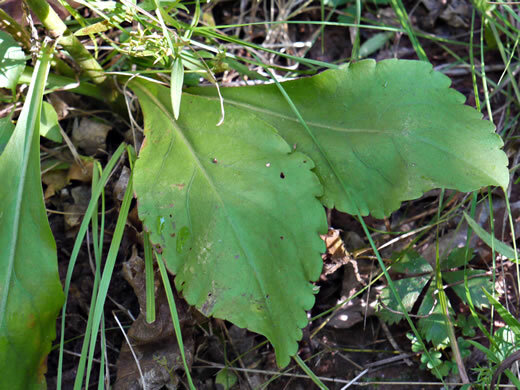 Mid & distal cauline leaves sessile, blades linear-elliptic, margins entire, per Flora of North America. 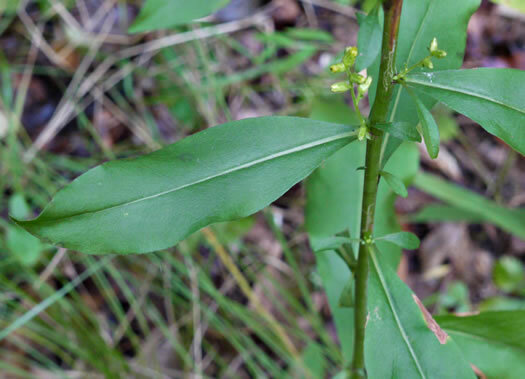 Basal & proximal cauline lvs broadly oblanceolate to obovate, margins serrate, per Flora of North America. 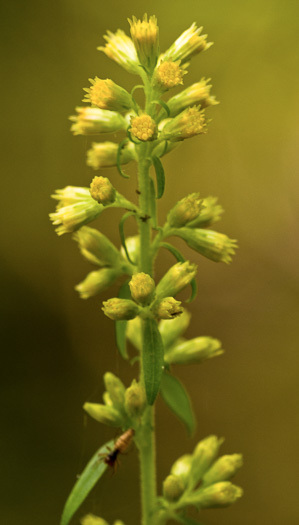 Heads clustered on short divergent lateral branches, not secund, per Flora of North America. 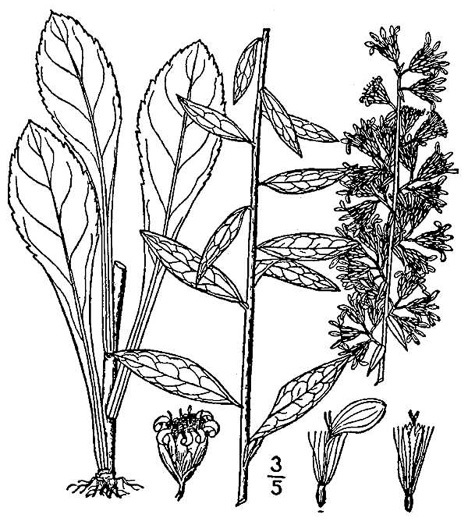 Heads 1-10 per branch, per Flora of North America. 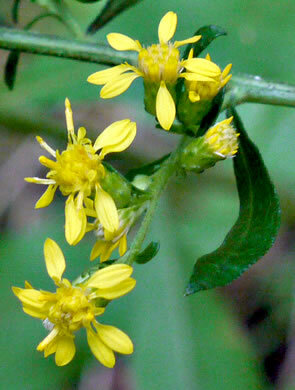 Ray florets 5-9. 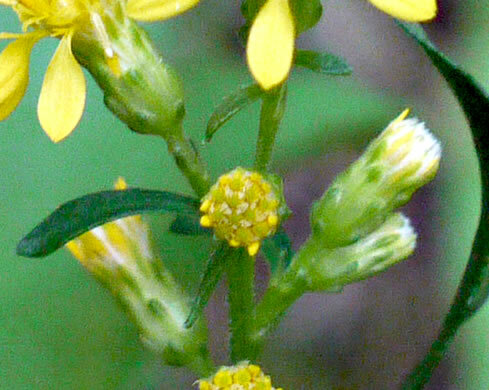 Disc florets commonly 6-10, per Flora of North America. 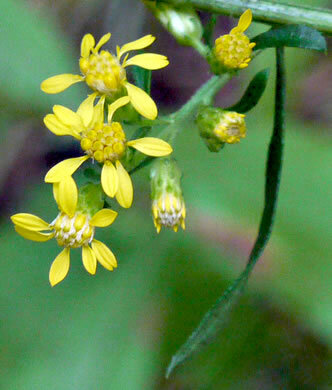 Phyllaries in 3-5 series, appressed, strongly unequal, per Flora of North America. 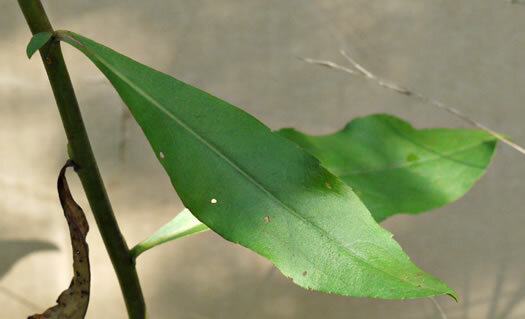 A gall of some sort?